Recruitment pretty much defines how fraternity chapters sink or swim on college campuses. IFC fraternities also follow strict guidelines for recruiting new brothers, and the meat and potatoes of recruitment basically happens during rush week. Everything else consists of brothers running around preparing for rush events and, once rush is over, digging through a list of potential new members to determine who gets a bid. Sure, you may meet a guy in chemistry, get to talking about late night road trips to 24-hour diners. But those guys will end up coming to rush week events like everyone else. Usually the IFC and Panhellenic chairs at your university will coordinate a schedule of campus events. Potential new members will visit the house and get to know brothers from each chapter they’re interested in joining. More than likely, there will be skits involved. Also, a great many IFC recruitments are dry. Which is fantastic for risk management, putting your best foot forward, and avoiding underaged drinking. It also means, however, that your skit better rock. Okay, so rush week is a big deal. We know this. So how does your fraternity chapter maximize its recruiting potential, when everyone’s basically thrown on the same playing field? OmegaFi has just one question for you: Has Your Chapter Tried IFC Recruitment Software? Software can impact fraternity recruitment in many ways. When used correctly, those ways are almost always positive. Let’s look at how software can improve your rush. Communicating is key to planning a successful fraternity recruitment. For that, you need the right kind of software. It may seem silly at first blush; after all, you can just go walk up to your recruitment chairman and have a chat. But in today’s technological age, you better believe that every other fraternity chapter on campus is optimizing how they communicate and strategize with software and apps. Software designed specifically for recruitment can have a major impact on how many quality bids your chapter walks away with. However, without flawless planning, you’re doomed. And nobody wants a lackluster recruiting class. It looks bad and weakens the chapter. Using software to communicate gets you in touch with the right people at the right time. "Recruitment is all about connecting." You can stay connected with brothers using Greek communication apps like GINSystem. Recruitment planning committee members can plan the perfect rush week by keeping each other in the loop, sharing important files, and syncing crucial calendar dates. You can also use communication software to keep in touch with potential new members you think would be a good fit for your chapter. To be fair, you’re going to mainly be sharing rush week info and other recruitment promotions through social media, so a lot of your PNM communication will be done there. Still—it never hurts to reach out personally when you know a man fits your chapter. Recruitment is all about connecting. Software can help. Voting on potential new members makes up a major part of your rush, and software makes the process way easier. IFC fraternities usually have a fixed window to place bids during rush. You need an organized, fast, and fluid way to determine who’s right for your chapter and who’s not. PNMs must have the right grades, meet other IFC guidelines, and of course click with brothers. You can keep track of PNMs by certain categories that either disqualify them or cast them in a favorable light using recruitment software, which can store easily accessible data about each recruit. This is helpful because, let’s face it, you’re going to meet a lot of people during rush. You can also match brothers with PNMs when deciding who should contact whom, and collect detailed reports on PNMs, brothers’ votes, comments, and more. "During rush week you just want to go out and meet your new brothers." Live voting using a recruitment app means that while you’re scrambling to pull rush together, you can keep the bidding process going. No matter where brothers are on campus, no matter what time of day, you can make voting easy and efficient. And anything you can describe as “easy” and “efficient” during rush is a win. One of the major headaches during rush is submitting the right forms at the right time to the right person. Paperwork isn’t most recruitment chairmen’s favorite part of rush. We don’t blame you. There’s plenty paperwork to go around in pretty much every aspect of fraternity life. During rush week you just want to go out and meet your new brothers. Luckily, many universities have begun using ICS software to make chapter recruitment paperless—and thus much easier. ICS has the benefit of centralizing information about recruits, who register into your school’s IFC network. The process of recruitment between chapters, the university, and potential new members all goes through this database. This also allows your chapter to easily find and share recruitment forms and data so that you can focus on building bonds and finding the right future brothers. 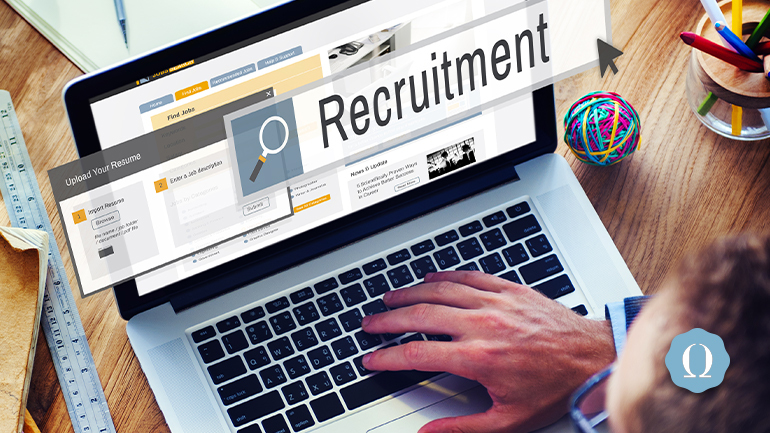 Consider using recruitment software such as OmegaRecruit, which is fully ICS integrated. You can use this software to execute the best possible recruitment for your IFC chapter, and ease the pressure of paperwork at the same time. To recap: IFC recruitment requires connecting with the right people in the right way, smooth, consistent voting and bidding, and a seamless way to get your rush forms submitted. The right software can help your chapter achieve all these goals, allowing you to relax and enjoy the process. OmegaFi would love to hear more about how your chapter uses recruitment software during IFC rush. Does software help you achieve your rush goals? How so? Let us know in the comments below.